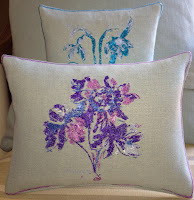 Embroidery Flower, Aconite- Inspired by the art in an abstract way from the first edition of "The Lady's Drawing Book and Compleat Florist" Printed in 1755 and contained twenty-six plates of flowers. "The Florist, or an Extensive and Curious Collection of Flowers for the Initiation of Young Ladies Either in Drawing Pictures or in Needle-point" Published 1759, featured sixty plates. By A. Heckle. 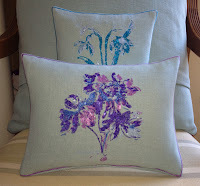 How to draw Flower books followed including full-color drawings that could be copied, along with detailed instructions. 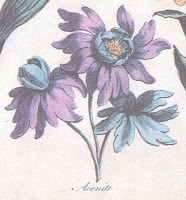 "A New Treatise on flower Painting", or "Every Lady Her Own Drawing Master", 1816 by the famous George Brookshaw, author of Pomona Britannica. 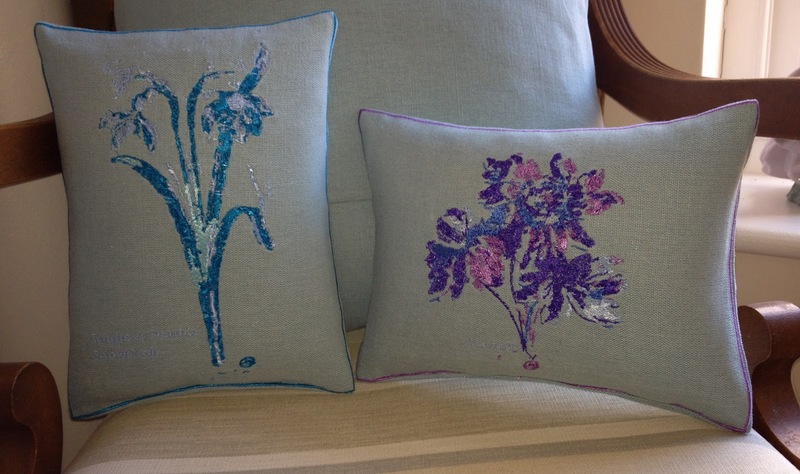 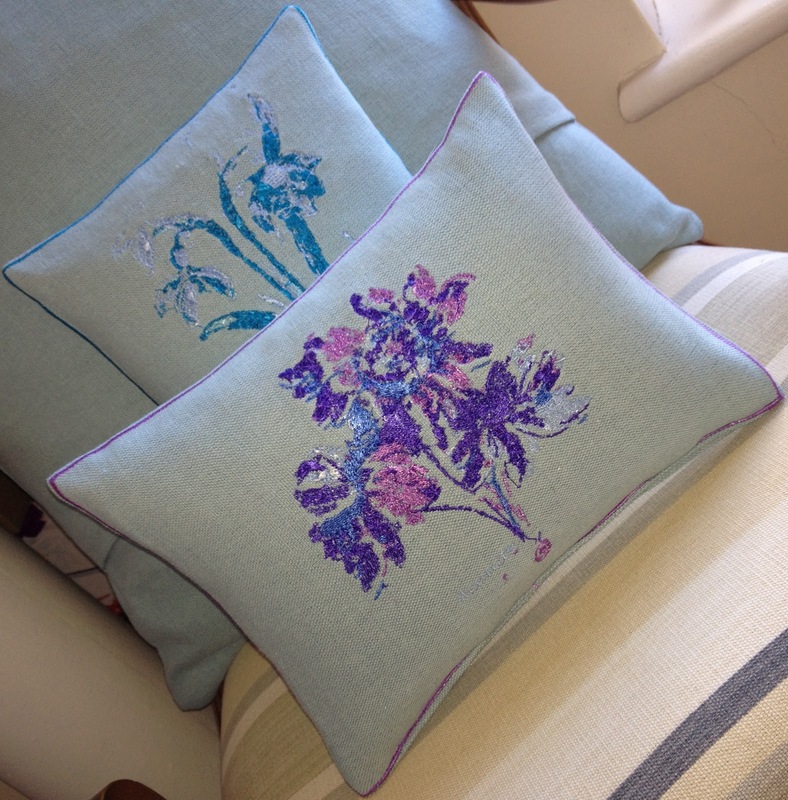 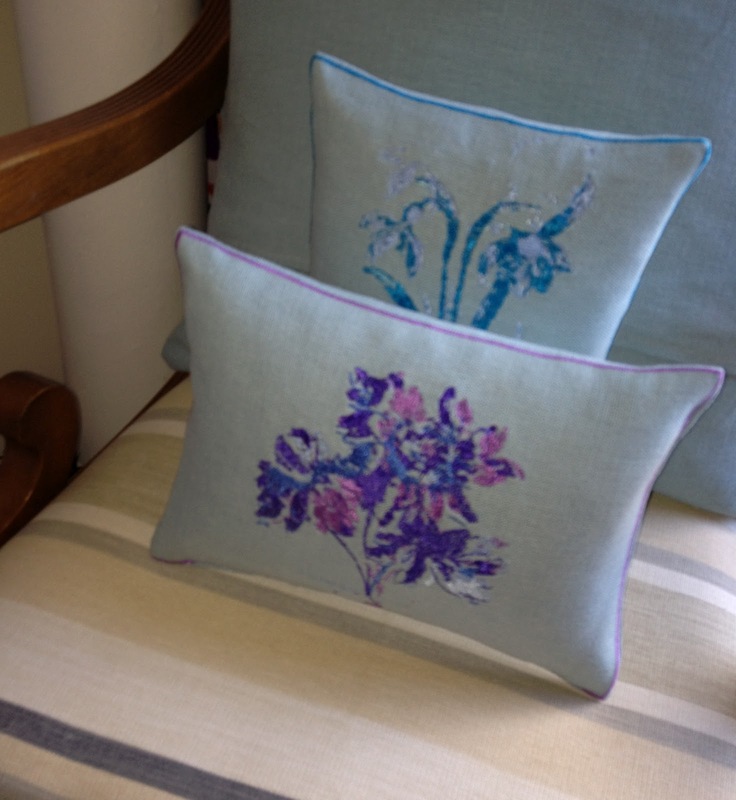 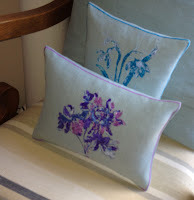 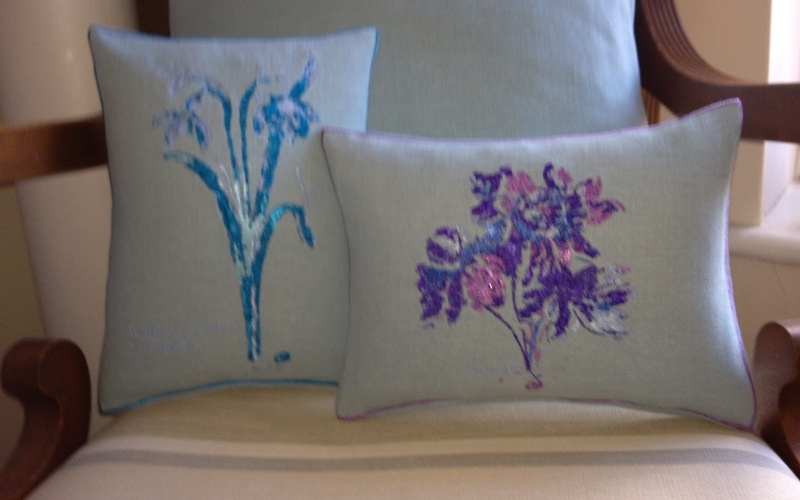 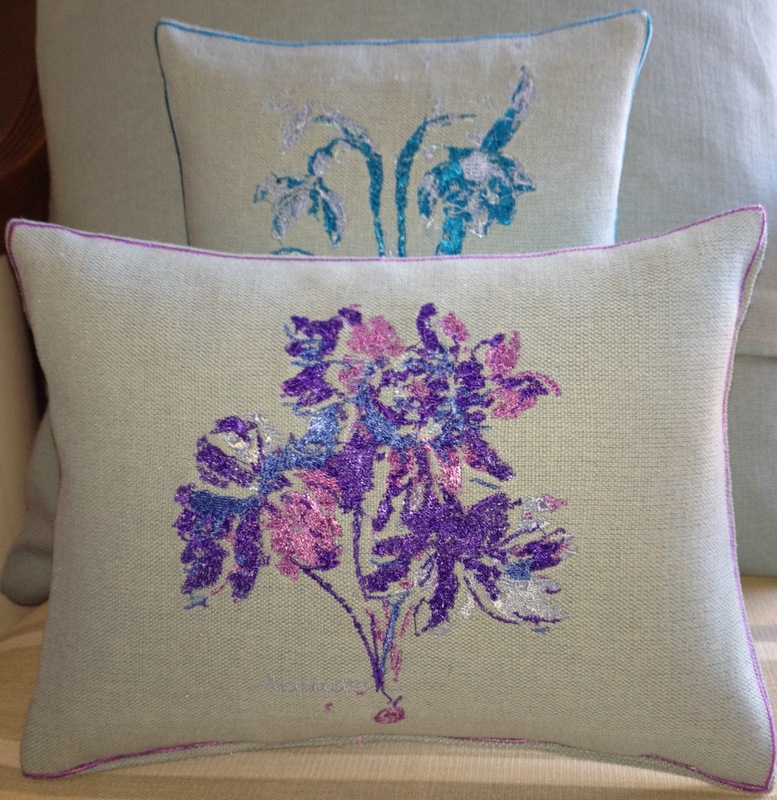 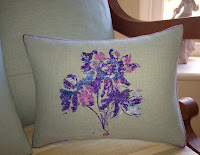 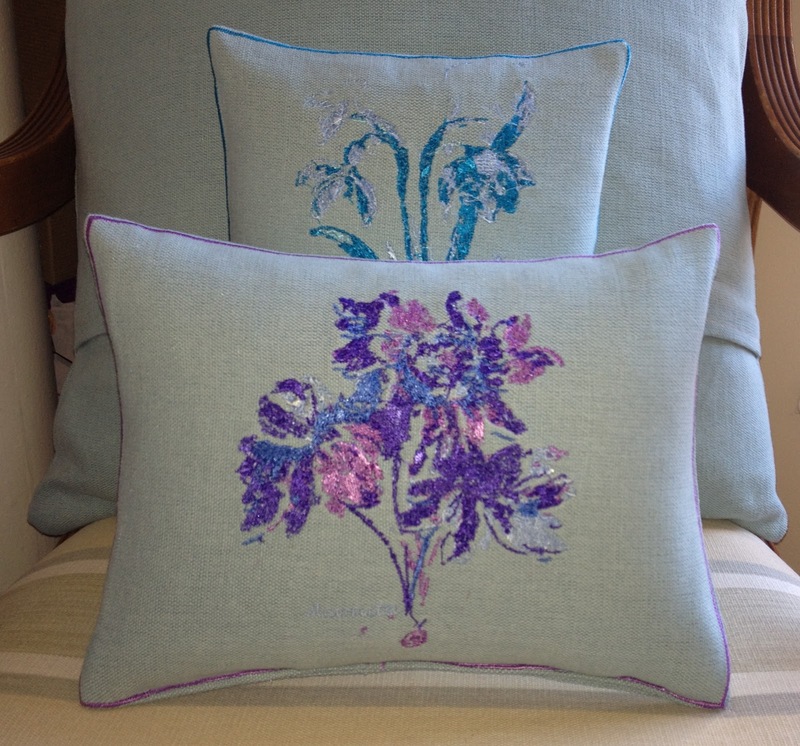 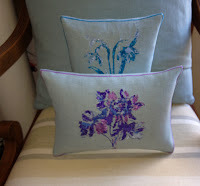 Teal, heavy quality material with vivid embroidery in Turquoise, Pale and Dark Blue to Pinks. Turquoise/Teal embroidered Boarder all the way round gives it a luxury finish. 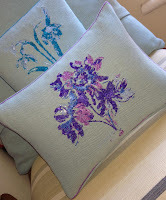 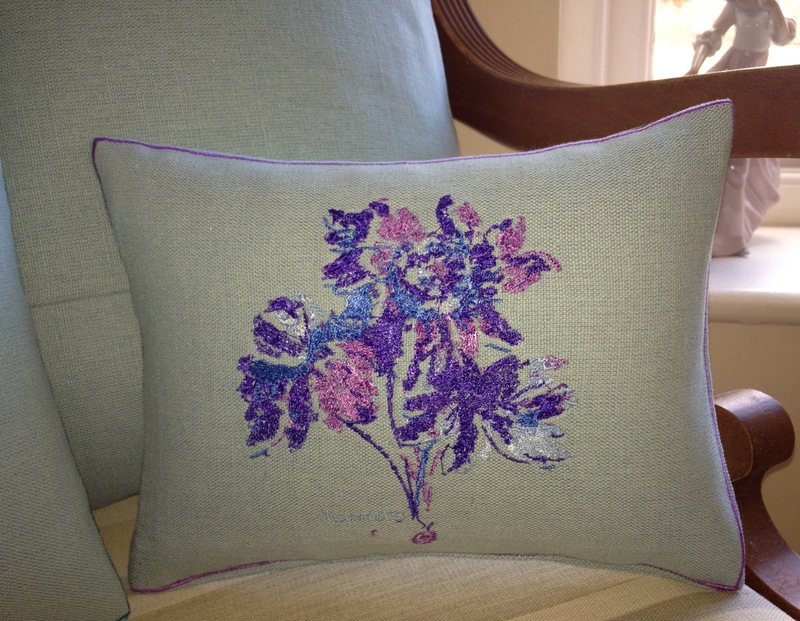 Over 52,500 stitches, signed LMD in the design.